Happy New Year! I think end of year reviews are supposed to be published before the bells but it always takes me a wee bit longer to get organised and put fingers to keyboard. In fact 2013 was certainly a very poor year for my blog with no update since April! I will try to make up for it here with a summary of my running activities. I would say it was a year of three thirds. A year that contained hard training, racing, injury, a lengthy lay-off, PBs and club running. The first third was certainly a positive one. 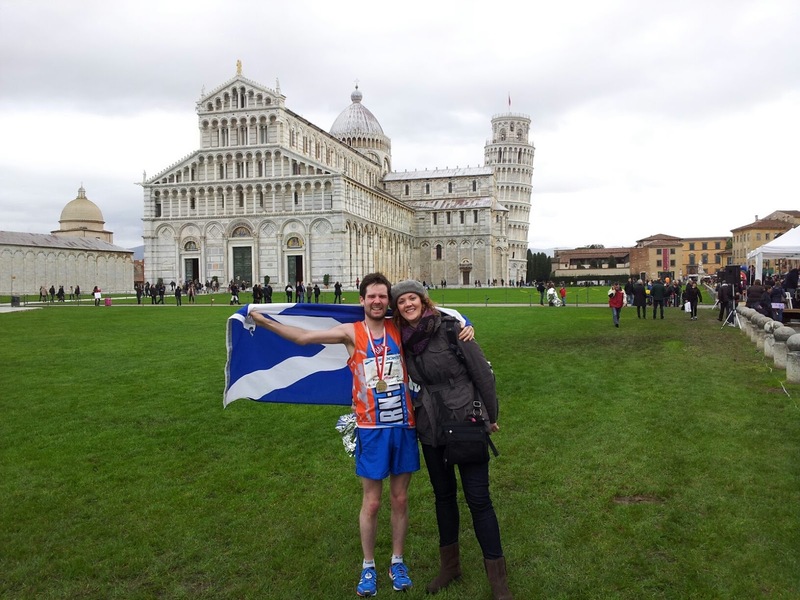 I began the year still on a high from success in the Pisa Marathon just before Christmas. 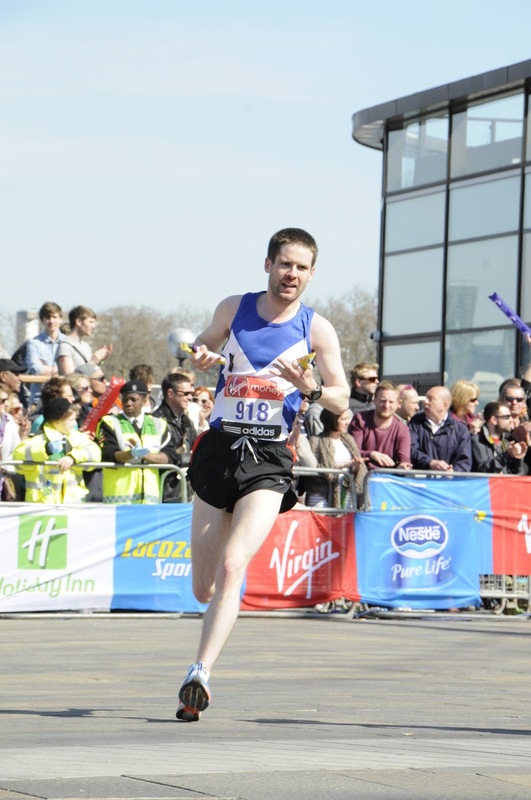 This race sealed my qualification for the 2013 London Marathon, leading to a packed spring schedule. After Pisa I had a few weeks of sensible low mileage easy running before diving back into another marathon training cycle. Having sat out the previous two London marathons and worked so hard to qualify again, all focus was on getting to the start line in April in the shape of my life. After much research, I decided to follow the Pete Pfitzinger ‘Advanced Marathoning’ training plan running 70-85 miles running per week over 12 weeks. One of the hallmarks of the Pfitzinger plan is a ‘medium long run’ in addition to the weekend long run and with the relatively high mileage I’d have to do some ‘doubles’ which is running twice on the one day. I managed to follow the plan fairly consistently despite a couple of niggles and the inevitable cold/flu! This was no mean feat as anyone who trained for a spring marathon in 2013 will tell you; there were some pretty challenging conditions to deal with. Wind and rain were mainstays and my Skins compression tights almost became part of my body. 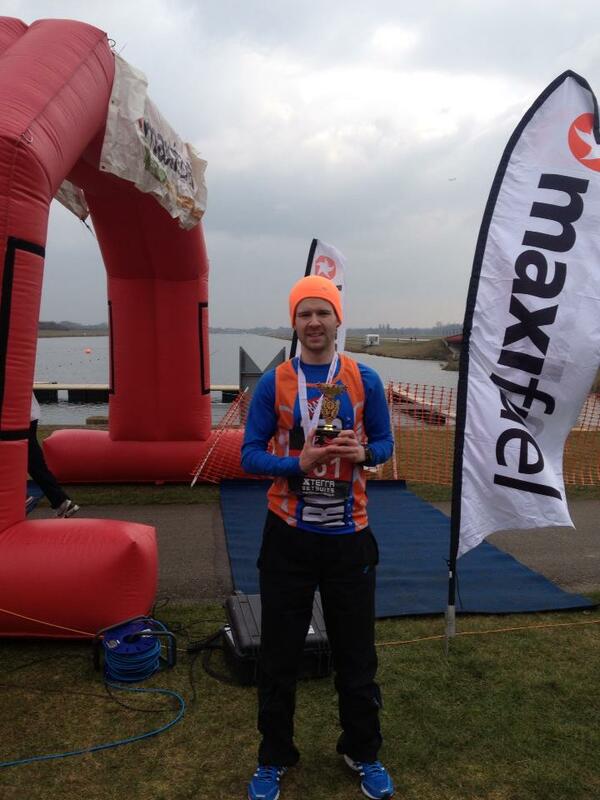 As the training progressed I started to get fitter and this manifested itself in race results. In February I hit 35 mins exactly for 10K at Eton Dorney, not quite managing to break that elusive 10K PB from way back in 2010. The PBs did come though in 5K and half marathon, at Mile End parkrun and Fleet Half Marathon. Fleet in particular was a good indication that I was “on course” for improvement in the marathon. I also competed in a very competitive 5 mile race in Victoria Park. I almost didn’t run as I was still feeling a bit ill after a prolonged cold which worsened. But with 2 weeks before London this was a great tune up opportunity. My taper went well and I got to the start line feeling ok and raring to go. London Marathon itself went to plan and I managed to take another couple of minutes off my Pisa time, finishing in 2:38:57, in 168th place. It was a fantastic experience, thanks primarily to the amazing crowds lining the entire route creating one long wall of noise. Thanks to friends and family I also managed to raise over £1000 for my chosen charity, Crisis, along the way. It was great to see friends doing so well in the race. Maj earned a UK Championship place with an amazing 2:44, David Palmer ran a speedy 2:33, Darren Tanner recorded a very respectable 2:49 despite so many injury problems during his training and Lynsey completed a remarkable 10th marathon at the tender age of 26. The middle third of the year wasn't so great. In retrospect this was probably my own doing. Having PB’d in London, I was keen to start concentrating on getting my speed up at shorter distances. Brimming with enthusiasm I didn't afford myself much of a break for rest and recovery. I did have a week of almost no running and a second week of low mileage but after that I was straight back into 50+ miles and only 5 weeks after the big race I was logging 75 mile weeks. I was keen to hold onto the fitness I'd gained from marathon training and to use to hit some PBs. At the start of June I entered a very hilly 10 mile road race where I got performed well. However my legs didn't feel quite right and I was beginning to experience quite a bit of pain and tightness in my calf. In my experience this usually leads to the shin splints which have blighted my running for so long. After the Dorking 10 Mile I had another big week of running and it got to the stage that I was feeling the localised pain and tenderness in my shin. I kept training until one day I went out for a run and I couldn't even go a step without wincing with pain. Things didn't improve quickly and in the 4 months from June to September I didn't even log 200 miles in total – in fact there were weeks when I did no running at all. To put that in perspective, in the month of March alone, I logged over 300 miles. The summer was therefore spent in “rehab”, trying everything I’ve tried before and more, and more. Hours were spent on the internet searching for that magic cure. Ultimately more than anything I just needed to rest my poor abused limb! What was most frustrating was that having finished my job at the Olympics at the end of June, I had planned on spending the summer training full time. Unfortunately my eagerness to make the most of this time was my downfall. There was a positive during the summer however – I finally made the decision to join the Clapham Chasers. 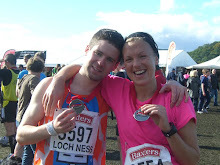 In late 2012 I had joined the Road Runners Club, whose membership is spread throughout the UK. This has served me very well and I have continued my membership. 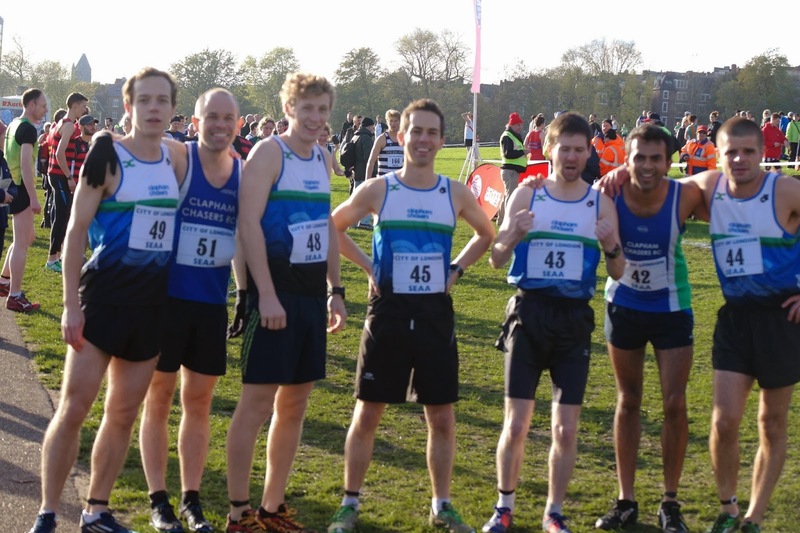 My main motivation to join the Road Runners had been to qualify for the UK Championship at London but I have also gained a lot of knowledge and advice since joining through other members and their magazine, 'Roadrunner'. However, I decided to join up with the Chasers as well to get involved in the team aspects of the sport and see if I could benefit in other ways. Darren Tanner and Maj had also been trying to persuade me to join for quite a while! I only managed two races before my injury struck but my aim was to be fit again in time for the cross country season which was a great motivator. It is a welcoming, competitive and growing club club with a busy social scene to boot and I look forward to getting increasingly involved despite the distance from Greenwich to Clapham! The final third of the year and things were really looking up again. Once the shin pain had dissipated I decided to attempt something I’d never really tried properly before: building up my mileage gradually. It’s something that requires a lot of discipline as I always feel ready to run more miles. The theory goes (roughly) that you shouldn't add more than 10% to your total weekly mileage, and should only add mileage every 3 weeks. The only problem with this is that it can take forever to build up your mileage to the level you want. The idea is that it gives your body a chance to adapt to the increased load. I have also been a bit kinder to my legs by trying to do the majority of my training on softer surfaces like grass and have added in a bit of treadmill work. I believe the shin splints must be at least partly related to tightness in my calves so regular massage from Timo Dahlstedt has helped greatly, especially during heavy training weeks. Timo also always knows how to deal with any niggles I pick up. Since September/October I have been building up my mileage. It’s now the first week in January and I am up to 80 miles a week, with the aim to reach 90 before properly starting marathon training during which I will peak at around 100 a week. This should give me a great base for my specific marathon training and hopefully some injury resistance. The other exciting part of the final third was my foray into cross country. Having joined the Clapham Chasers in June, this was one of the great opportunities that had come up. 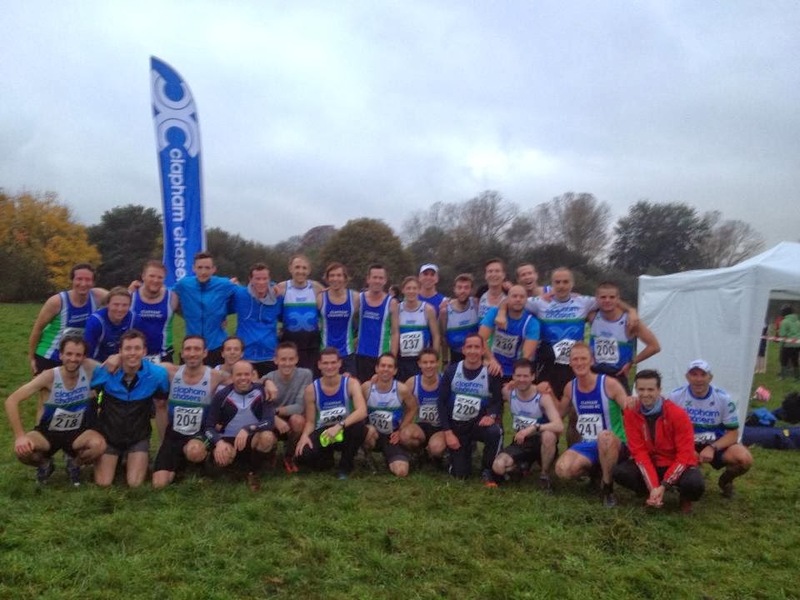 The Chasers compete in the Surrey XC League and I was keen to get involved. 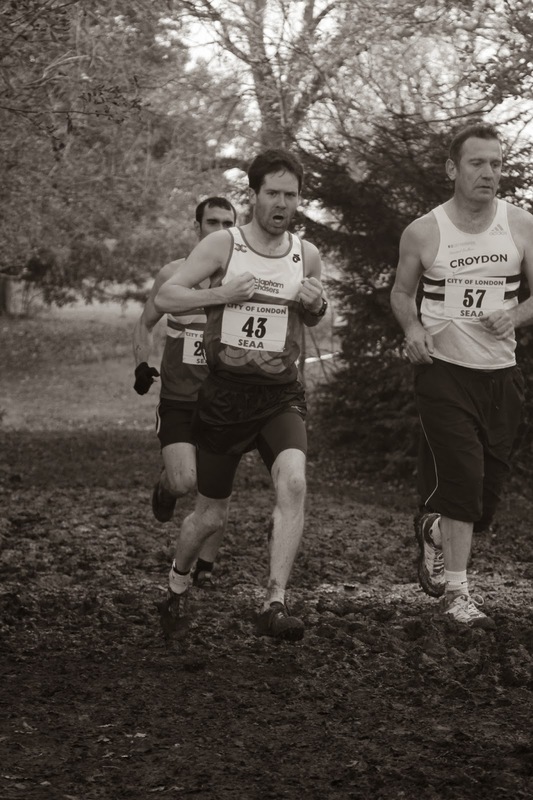 I bought myself a pair of cross country spikes and ran in the 2nd fixture at Mitcham Common. I thoroughly enjoyed this different type of running and getting very muddy in the process. We now have the final two fixtures to look forward to as well as the regional and national championships in January and February. I also hope to run in the national road relays in February. Looking further ahead my main aim is a spring marathon. I have entered London and Edinburgh but I am erring towards Edinburgh because of the extra weeks it will give me to train. A return to Edinburgh on the cards, hopefully in cooler times! All in all 2013 has to go down as a very positive year despite missing an entire summer of training and racing. 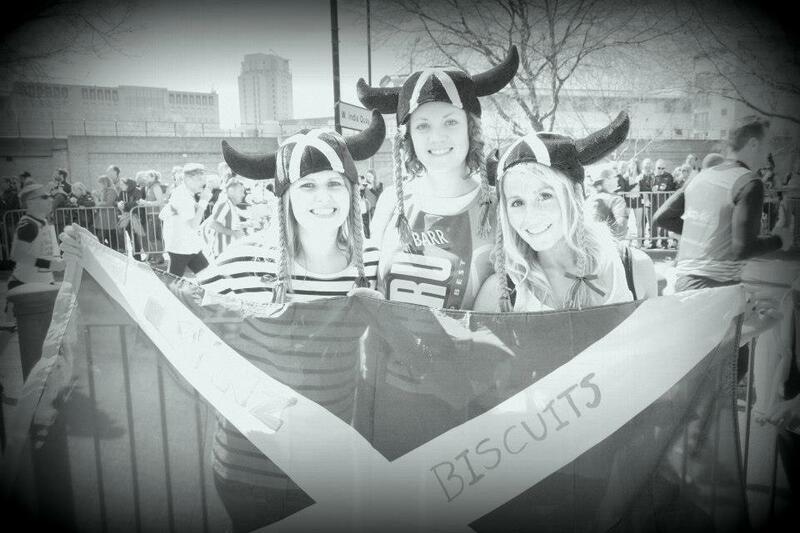 I finally ran London, joined the Clapham Chasers and got involved in cross country. Looking forward to 2014 I am hoping to hit some short distance PBs and get fast enough to take as big a dent as possible out of my marathon PB in the spring. Finally, it wouldn't be a review if I didn't take the opportunity to thank everyone who supported me throughout the year and took an interest. Especially family, friends and girlfriend Sarah who put up with me disappearing on runs, leaving around wet/smelly kit (sorry Sarah, mum and dad) and talking nonsense. 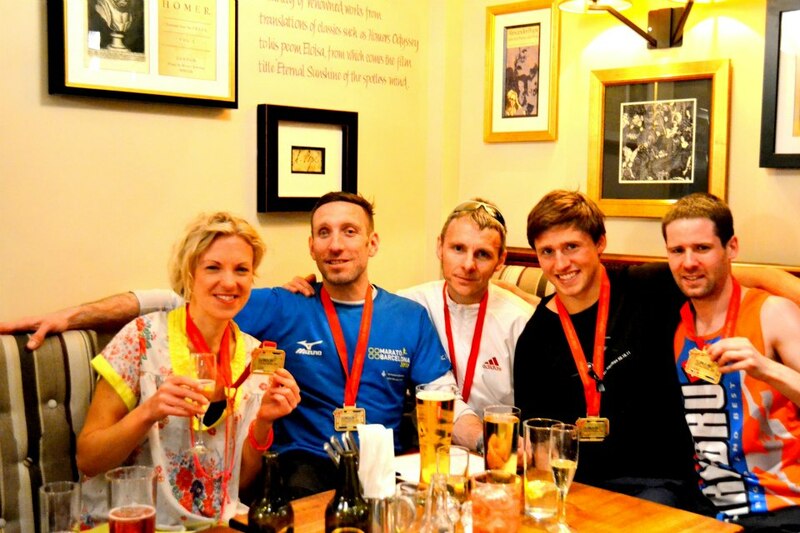 Thanks also go to the Road Runners Club and my new club Clapham Chasers who have opened up a whole new world of running! 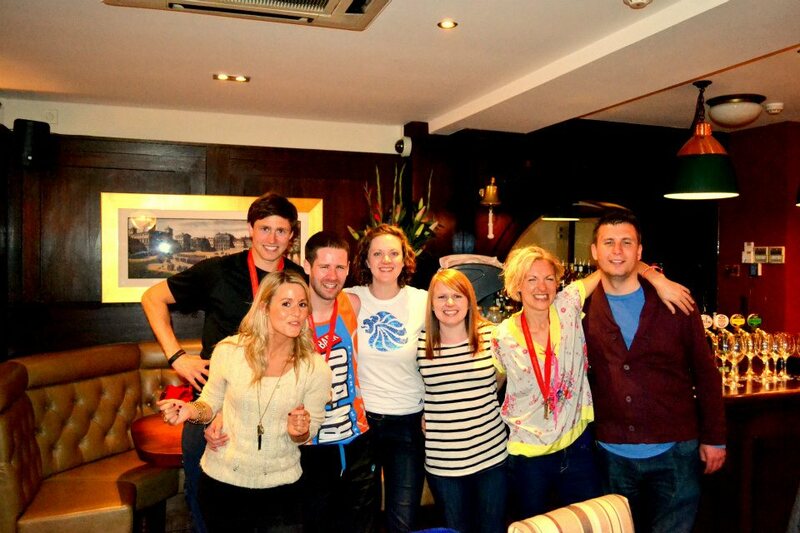 Last but not least the Stirling Uni Murray Hall Support Crew - some of them pictured below after London. Forget Roger, there's a new Bannister on the block. I'm using this blog to record my personal battle to become the best that I can as a runner. I am aiming high so watch this space! A heartfelt thanks to those who have followed me and supported me on the journey so far. Sláinte. A marathon? In December? In Pisa? Why not?